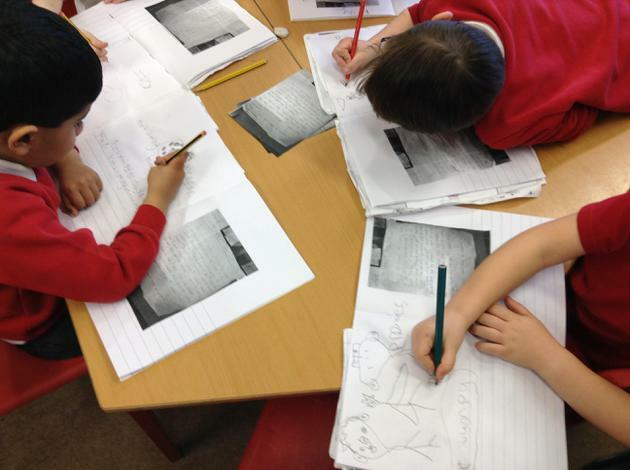 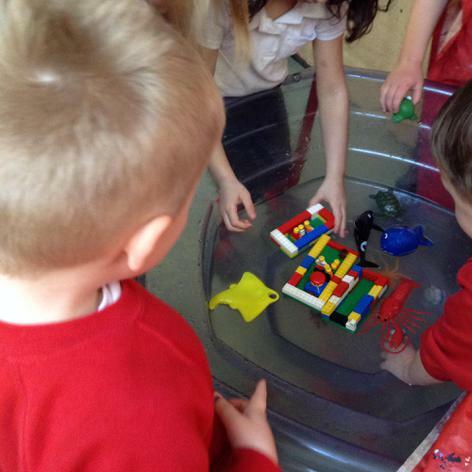 Mr Gumpy and his boat have been inspiring us to do lots of work on boats, ships and other things that float. 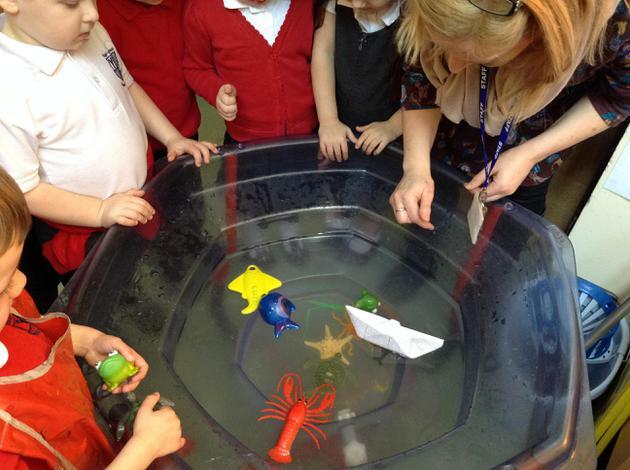 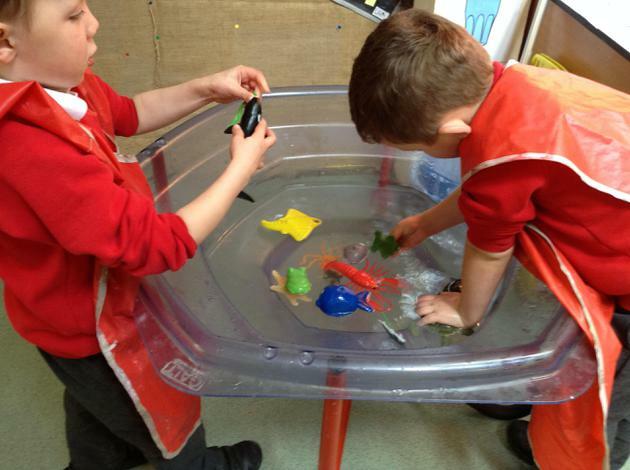 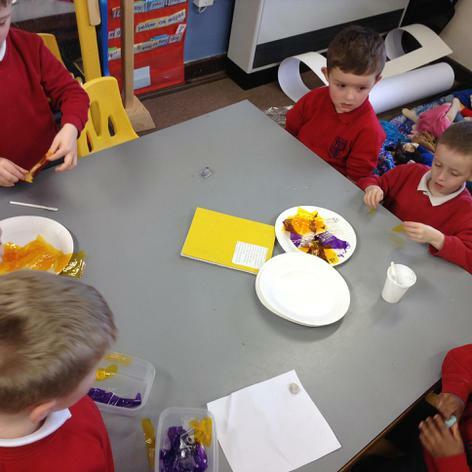 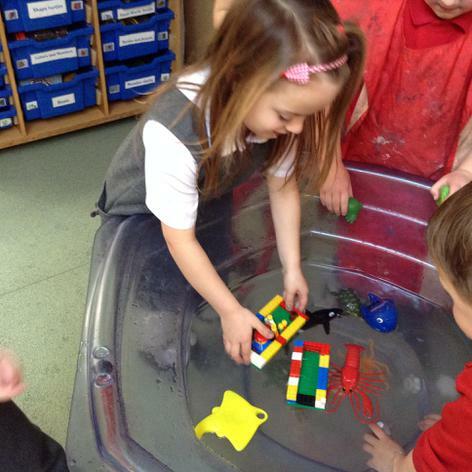 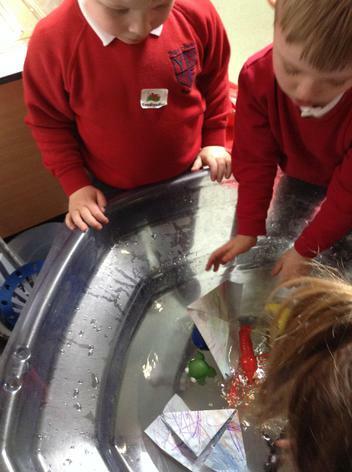 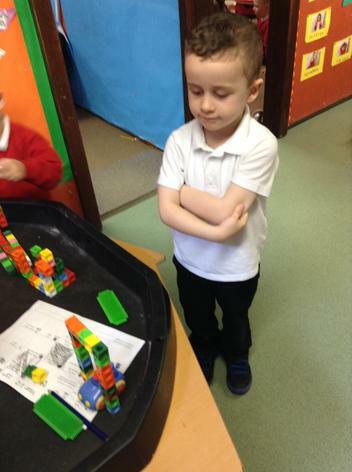 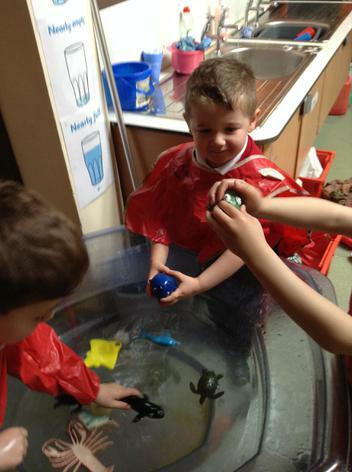 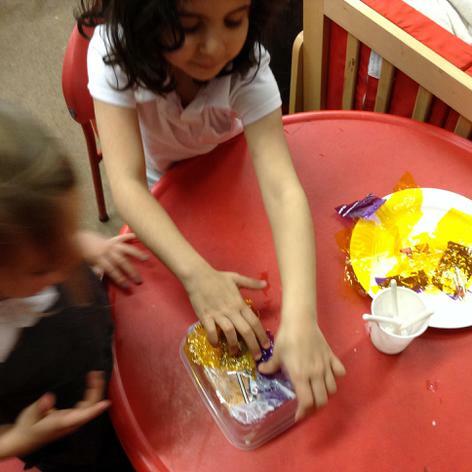 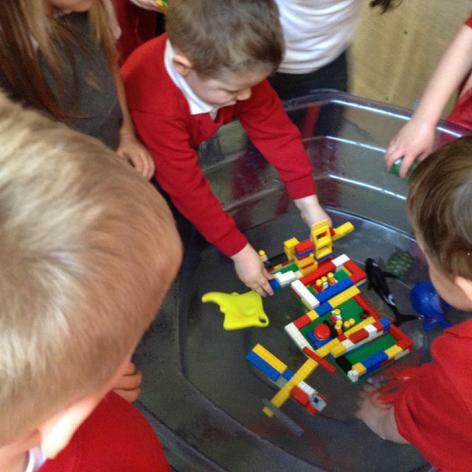 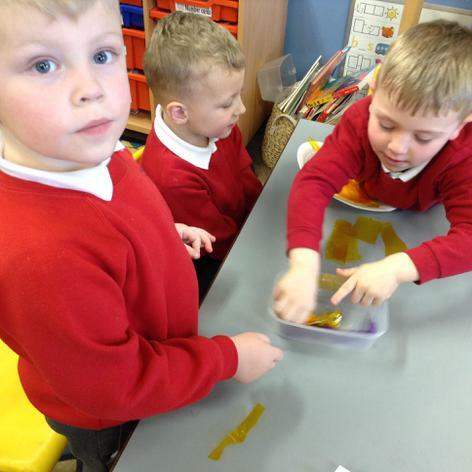 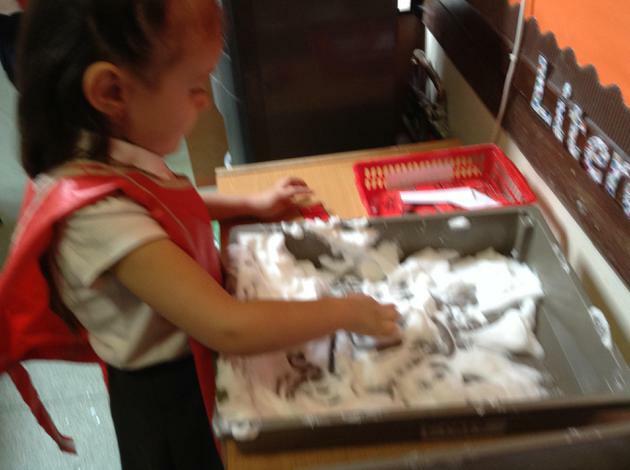 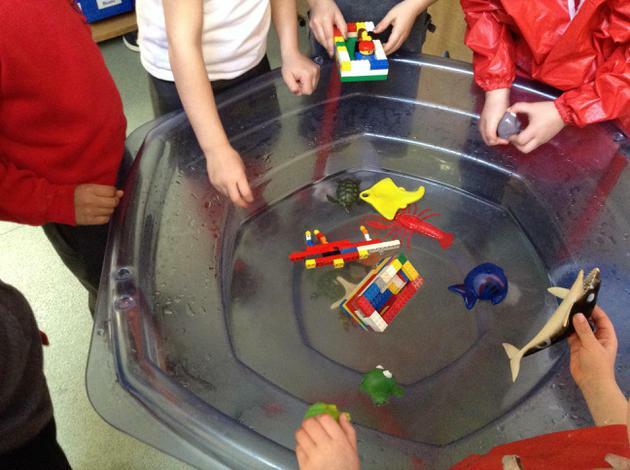 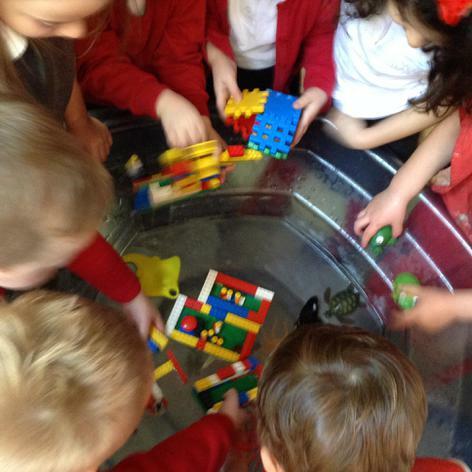 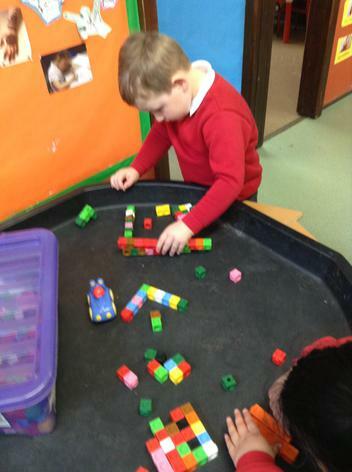 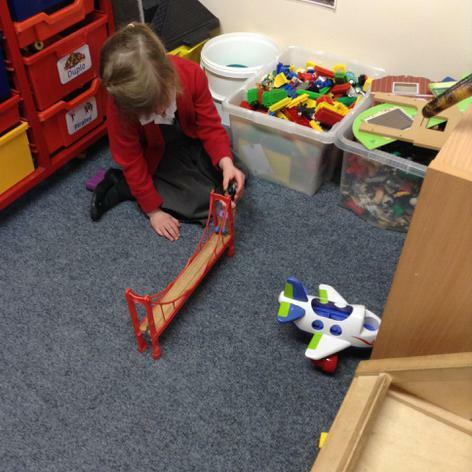 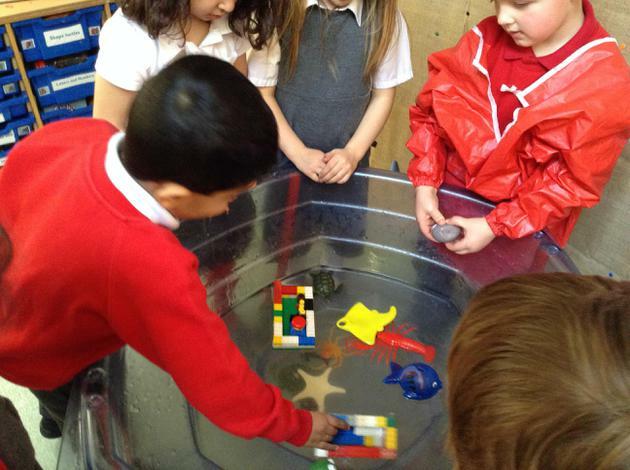 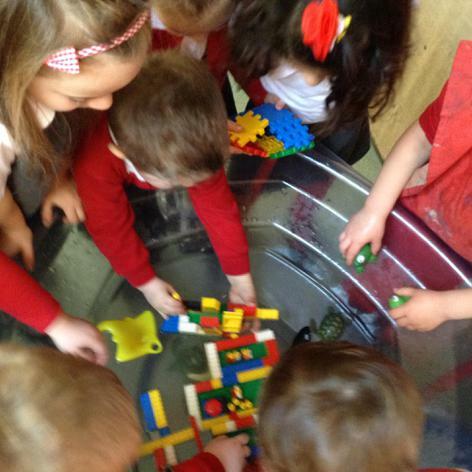 We have made boats out of different materials and tried to sail them in the water trays. 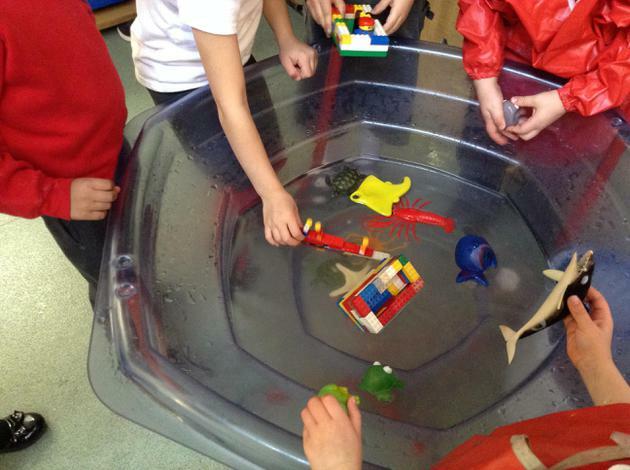 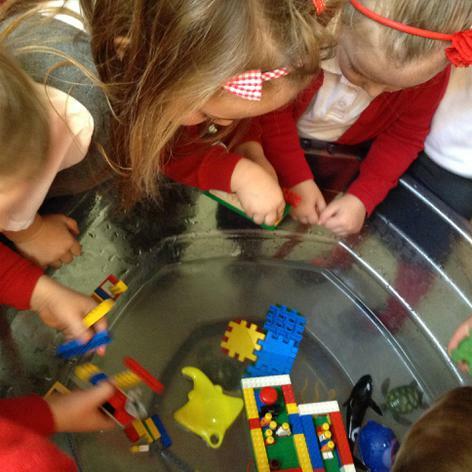 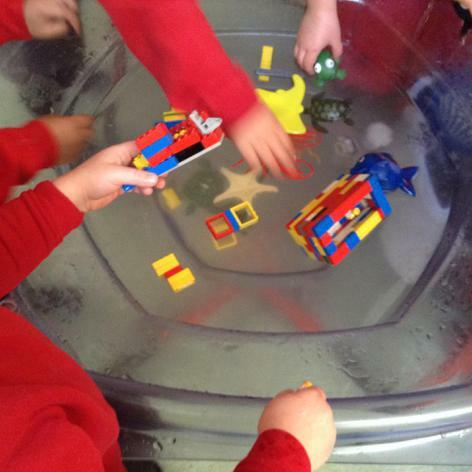 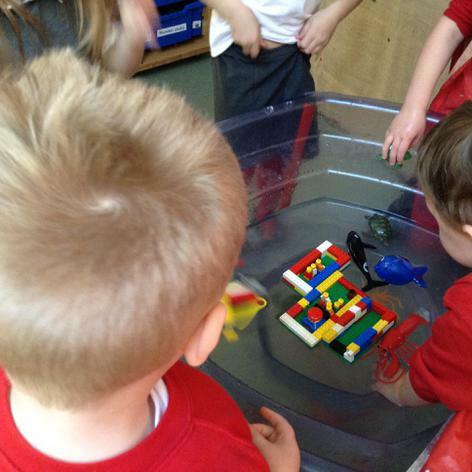 Some of our Lego boats were fabulous, others sank very quickly so we had to modify them. 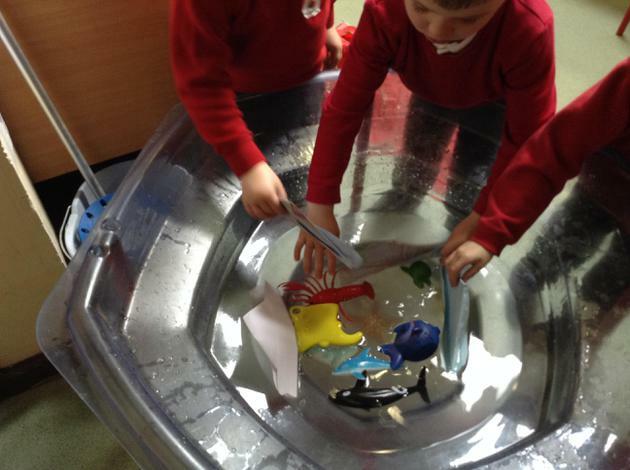 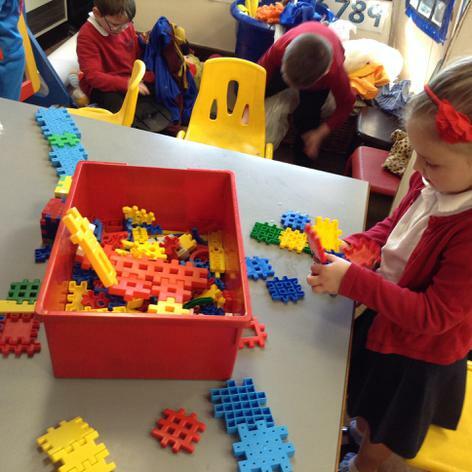 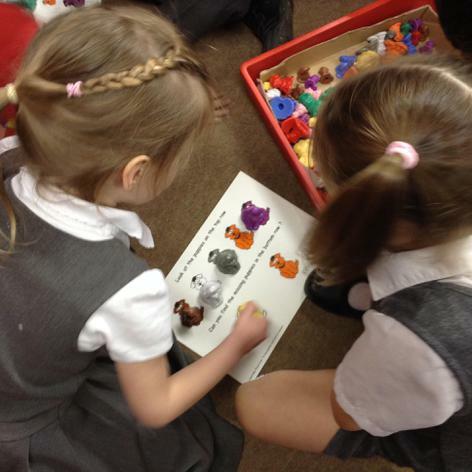 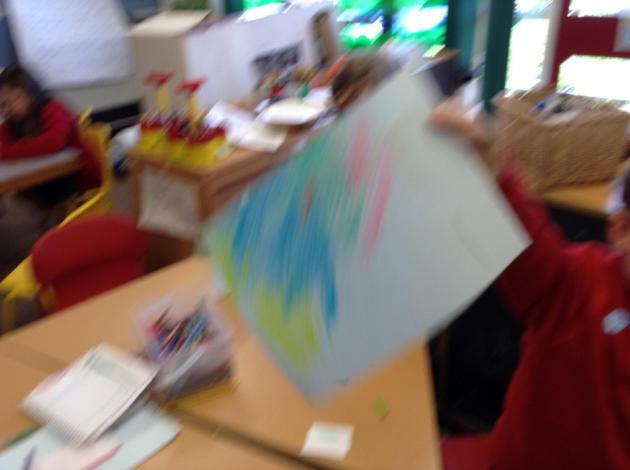 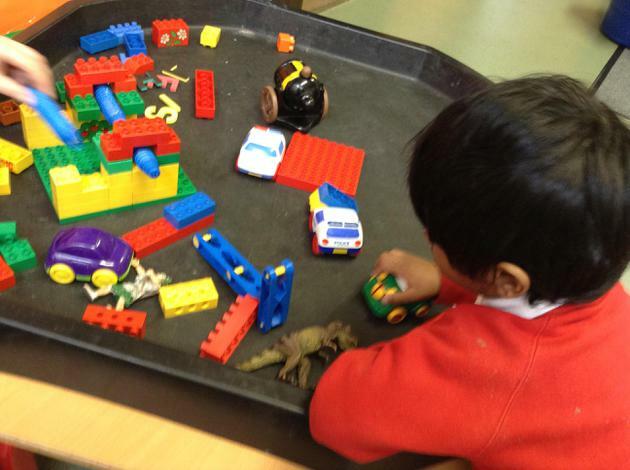 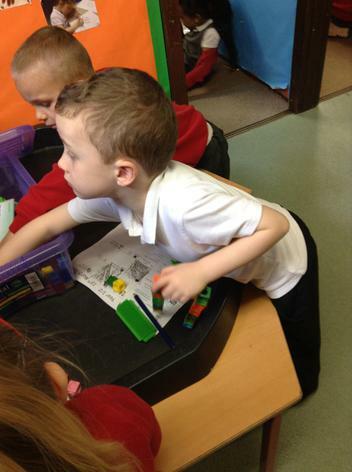 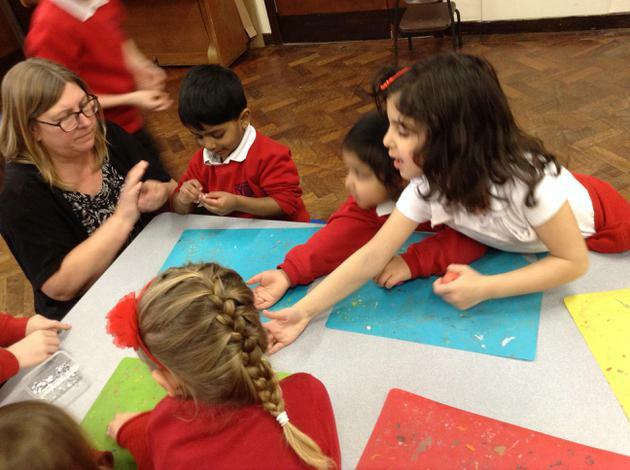 We went back to the water tray a few times until our designs worked. 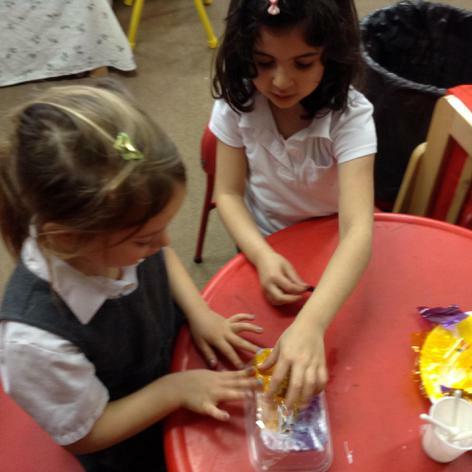 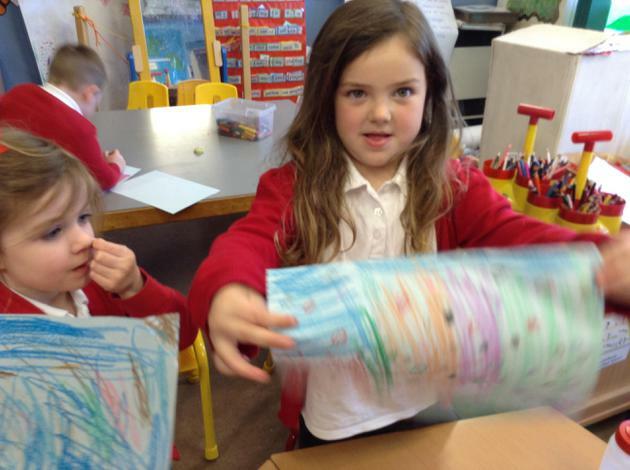 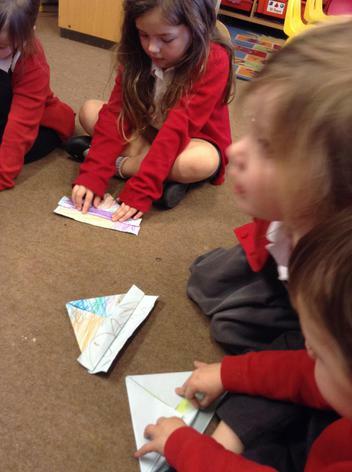 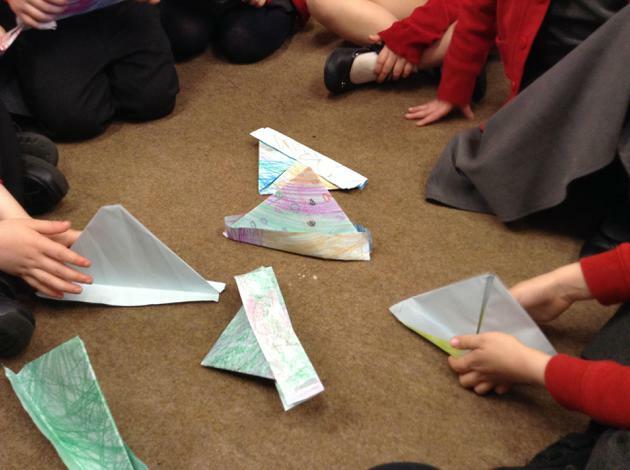 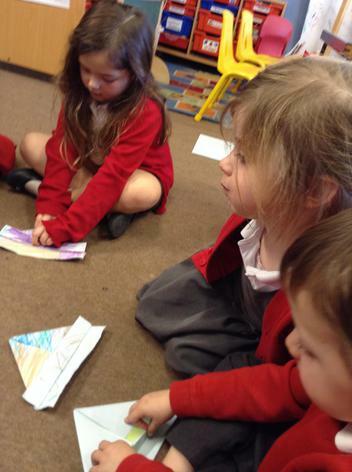 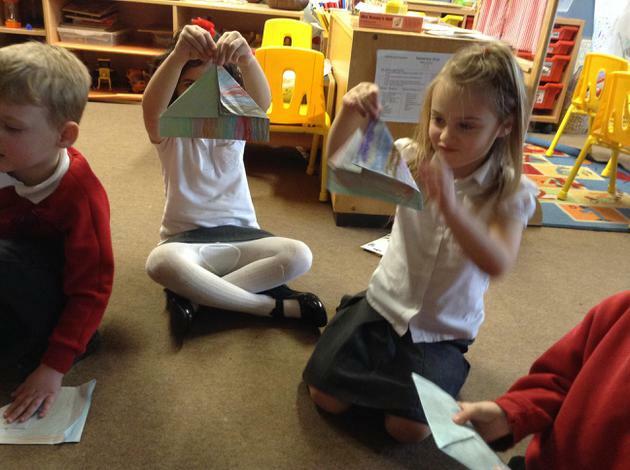 We've made paper boats and water-proofed them with wax crayons. 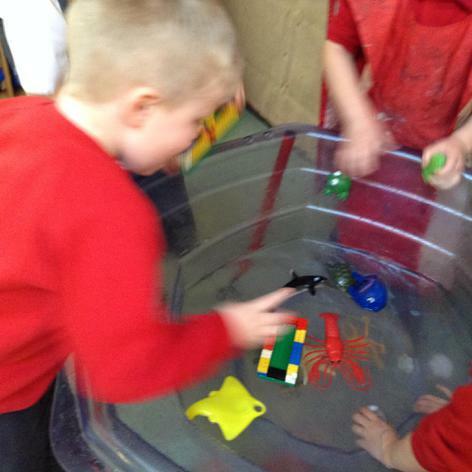 We've been looking at different ways to cross water. 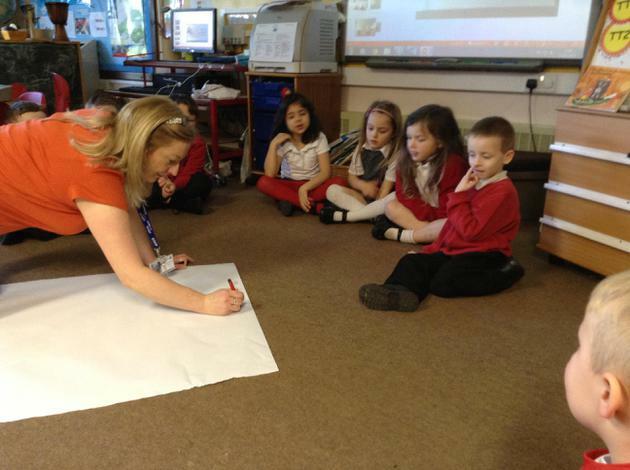 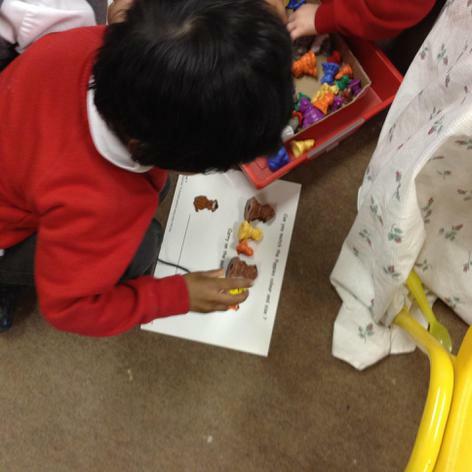 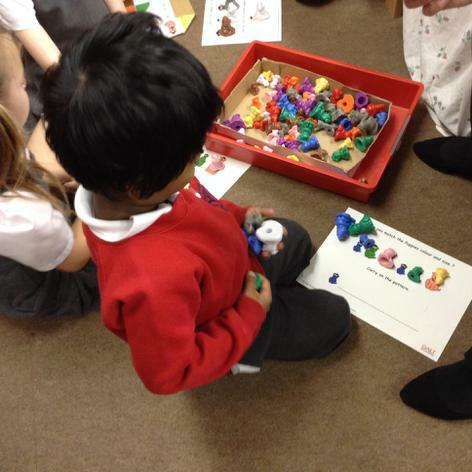 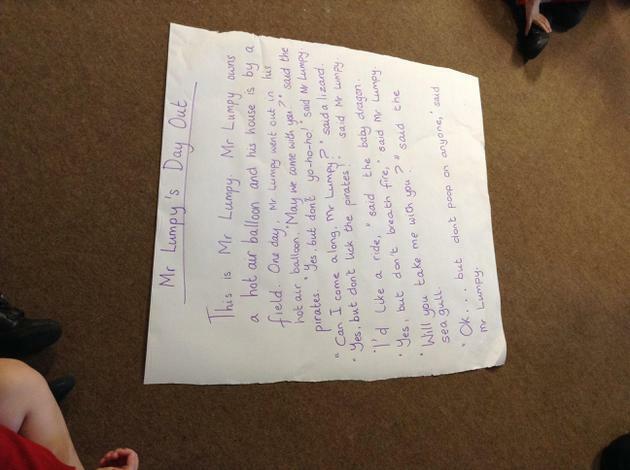 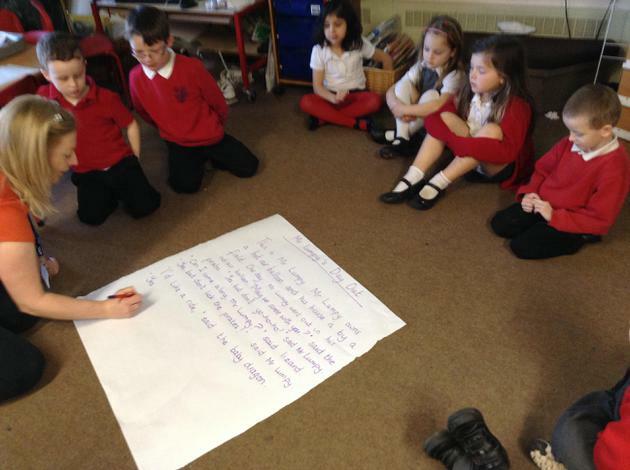 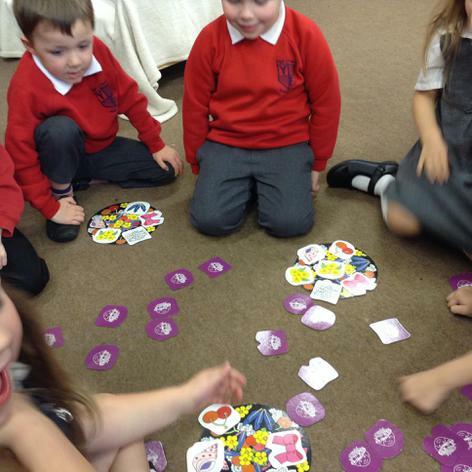 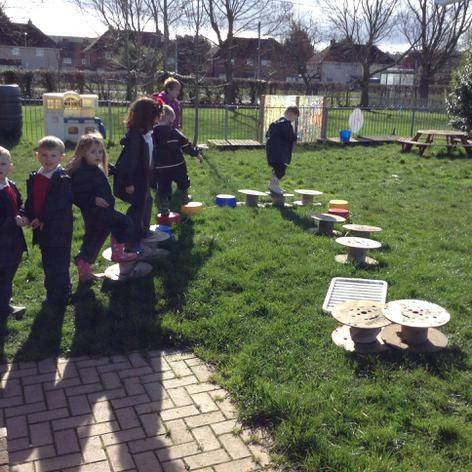 One of our ideas involved stepping stones. 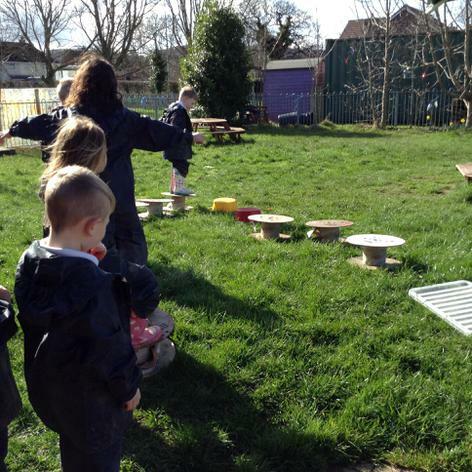 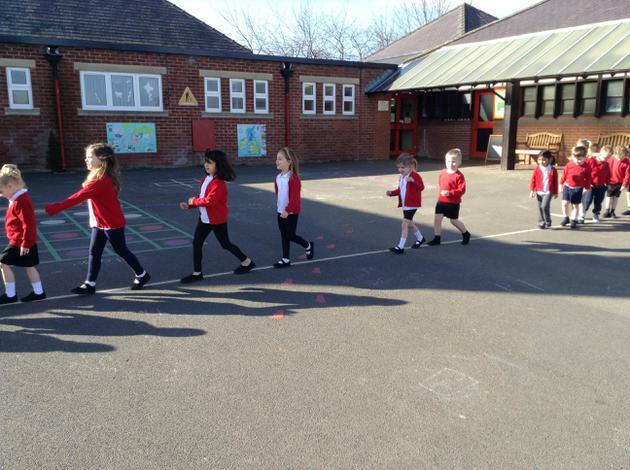 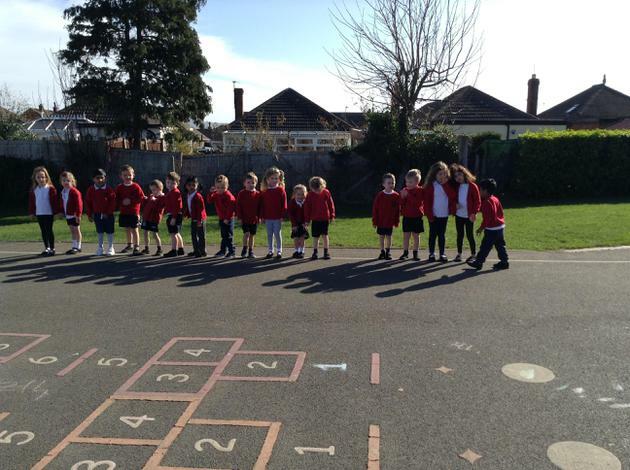 So we have been walking across the outside area* on our own 'stepping stones'. 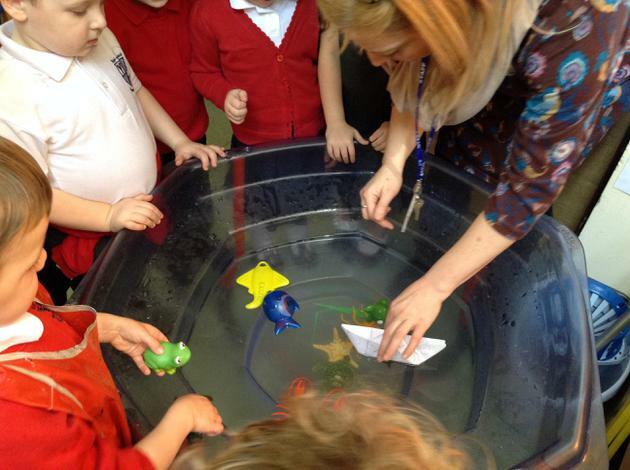 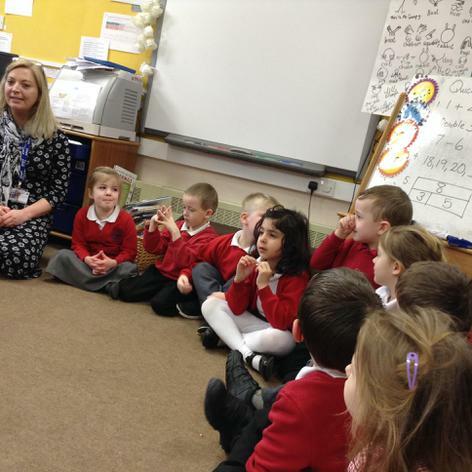 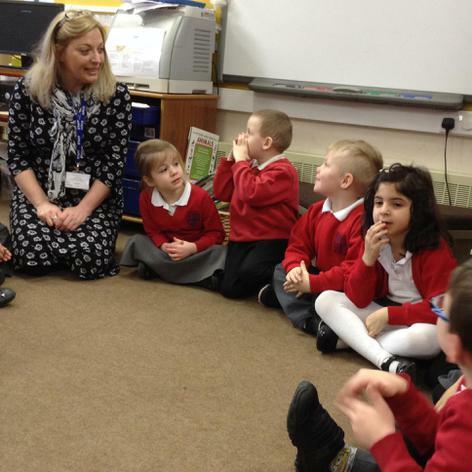 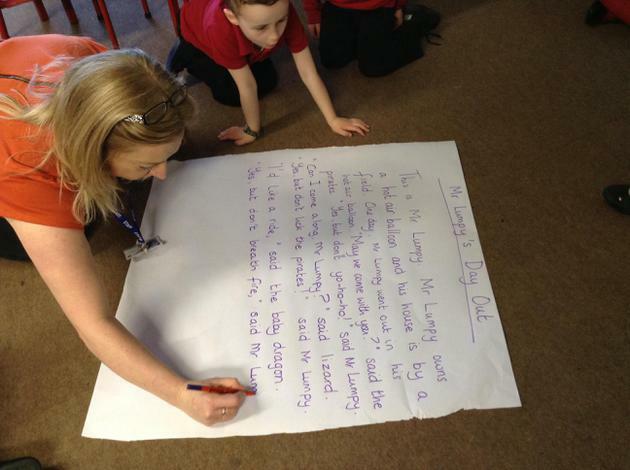 We've been belting out watery, sailing songs, some of which you can find on the BBC nursery rhyme page. 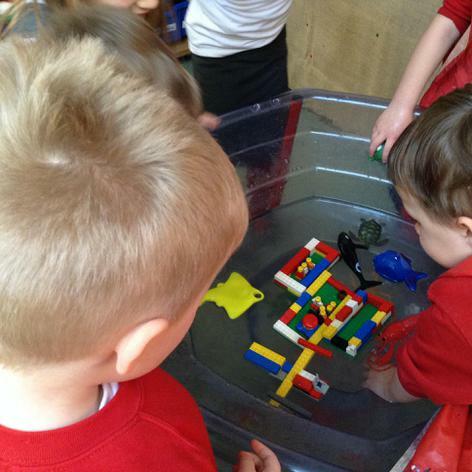 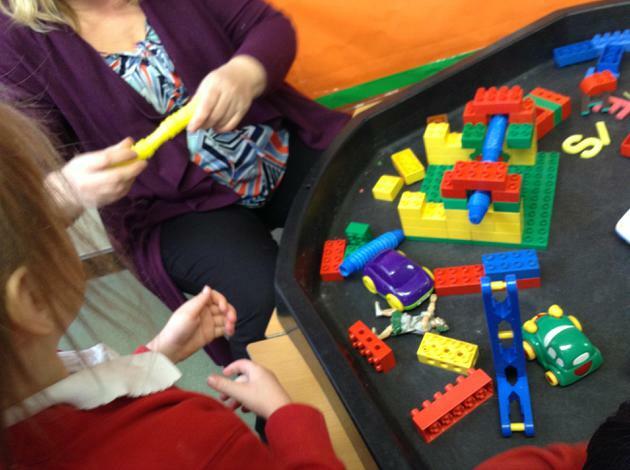 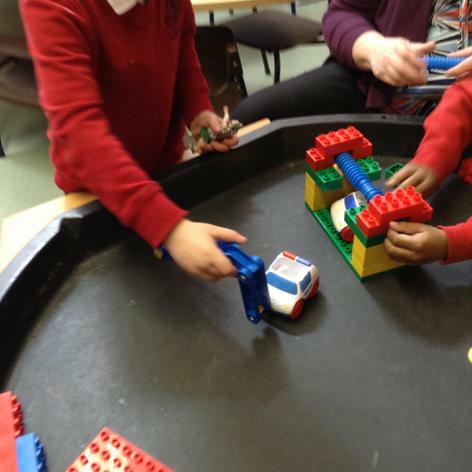 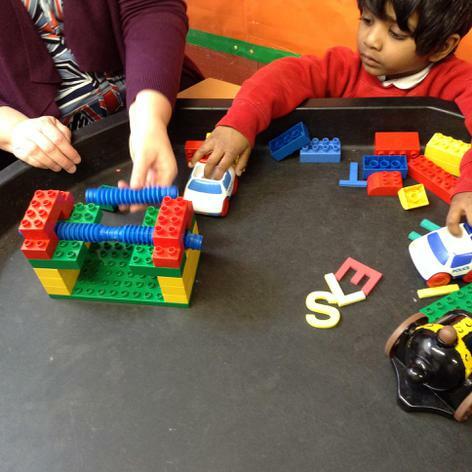 In the Top Spot in our Challenge zone, we've been building a car wash with our construction materials. 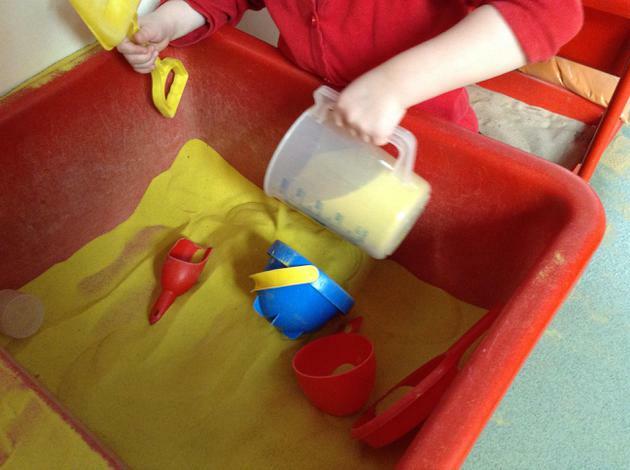 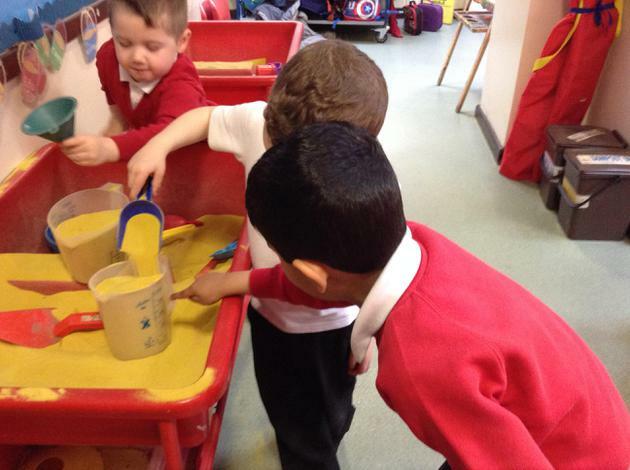 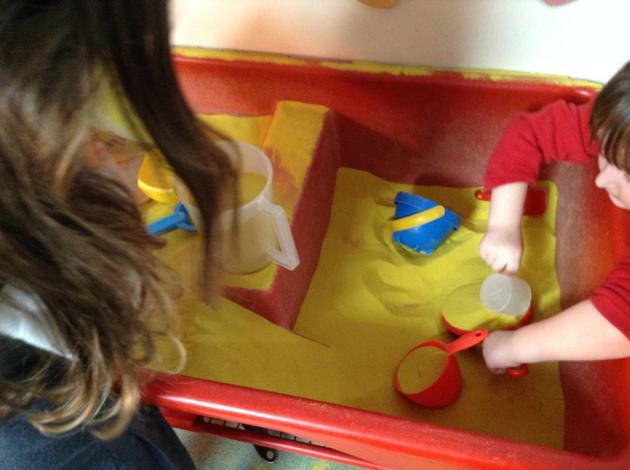 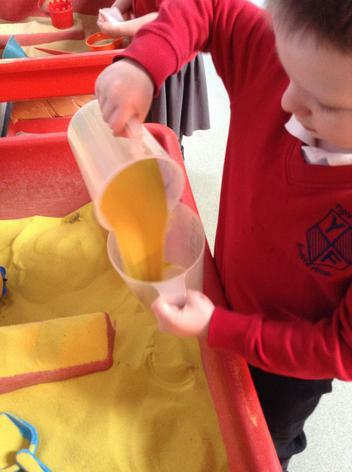 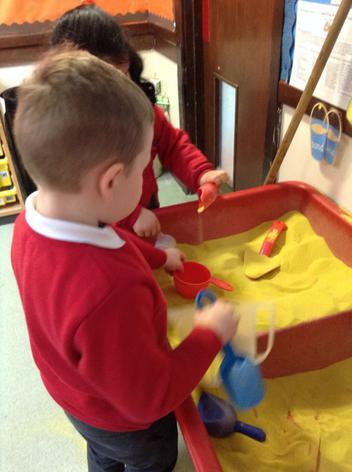 Also in our Challenge Zone, we've been measuring with sand ( how many scoops for each container?) 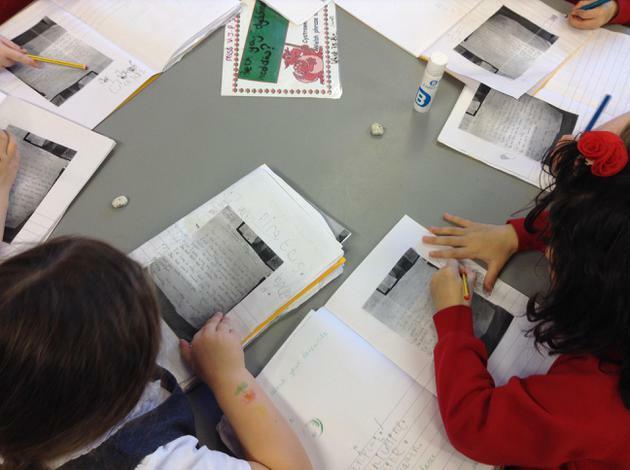 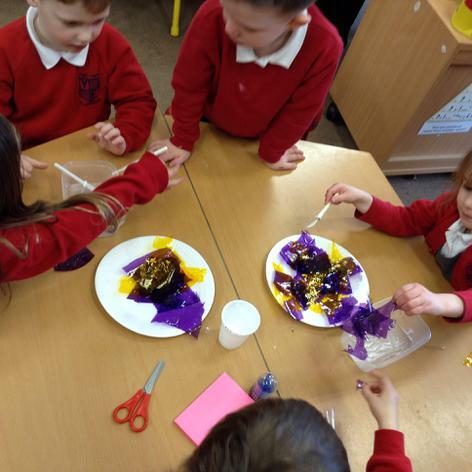 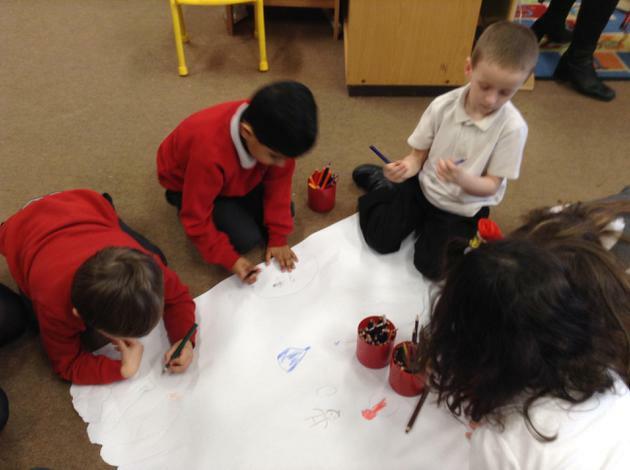 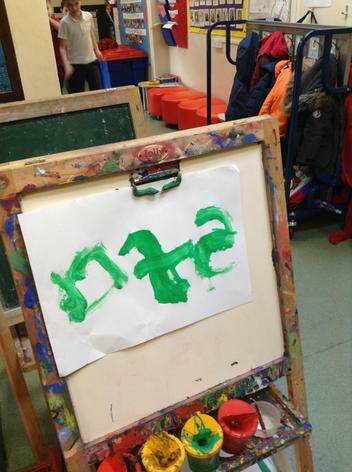 making up under the sea tales, painting rough seas, writing words in shaving foam and talking about staying safe on the beach. 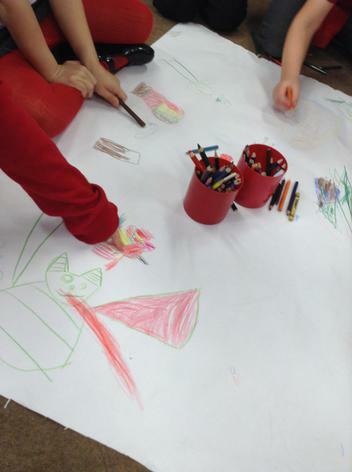 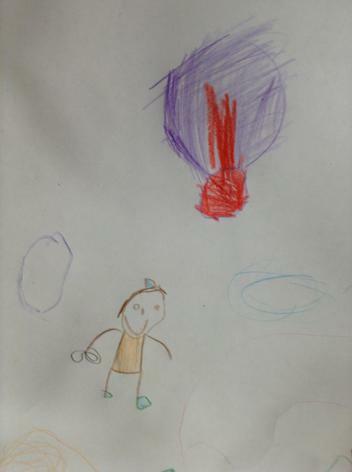 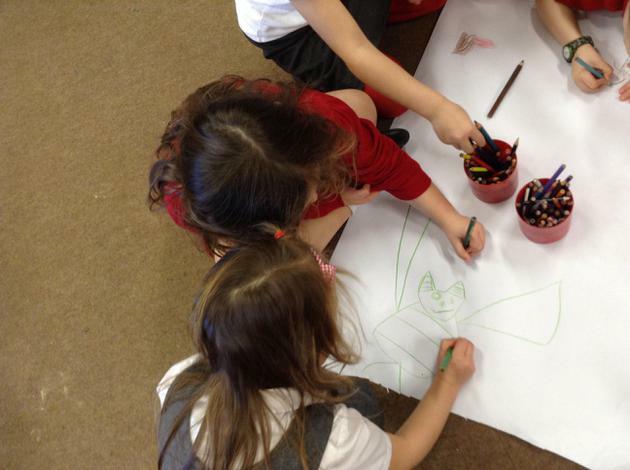 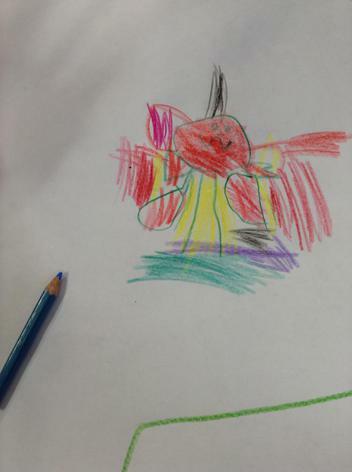 Some of us went to an animation workshop with Jim and our teachers. 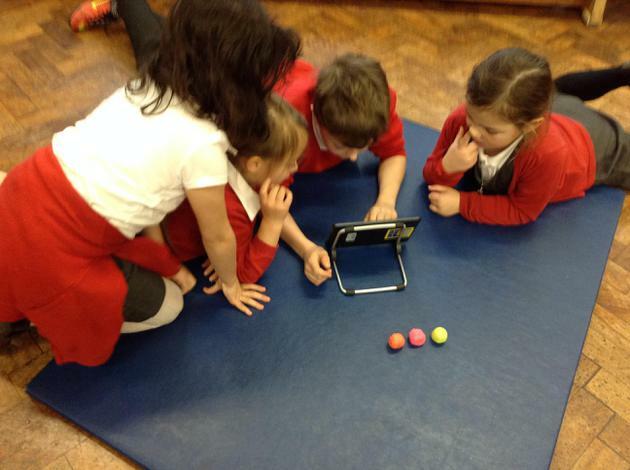 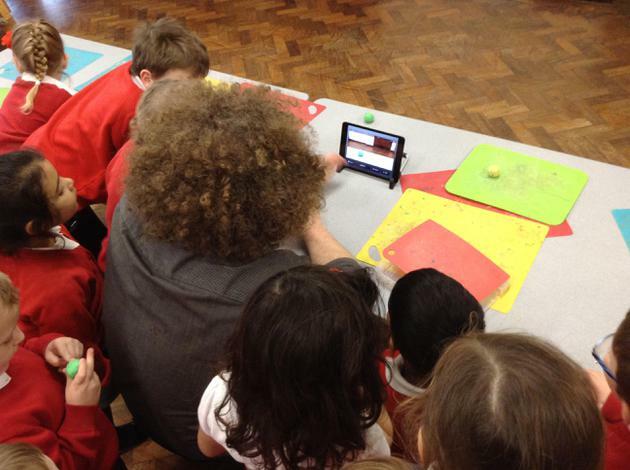 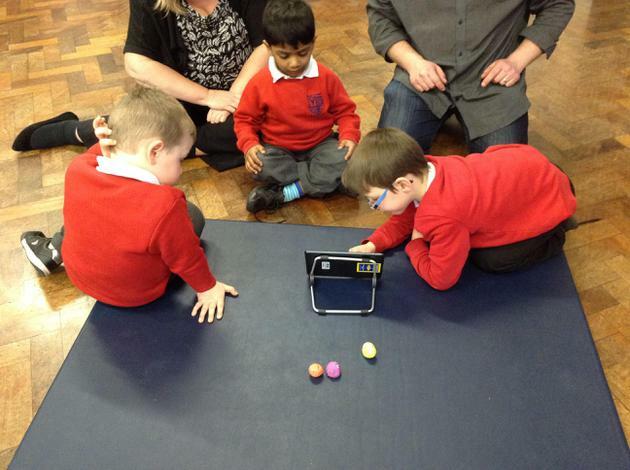 Jim has helped the 4/5 class make some amazing films-which we saw this week. 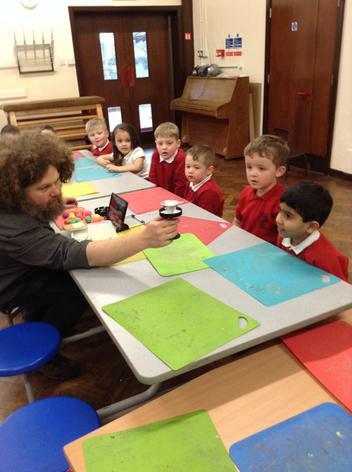 He showed us how to make our own mini-films. 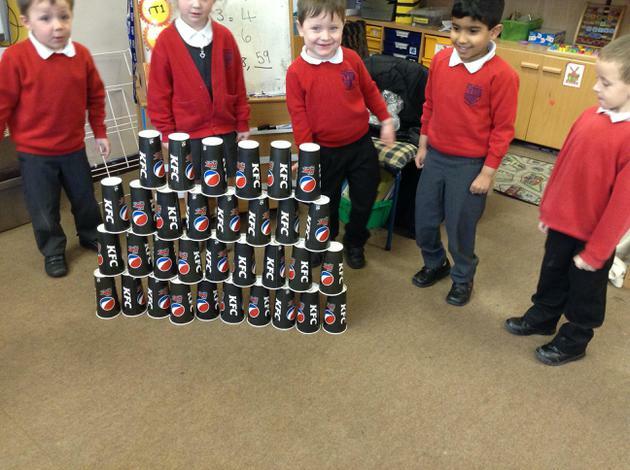 We told him we'd had a little go before and he was impressed with our skills and confidence. 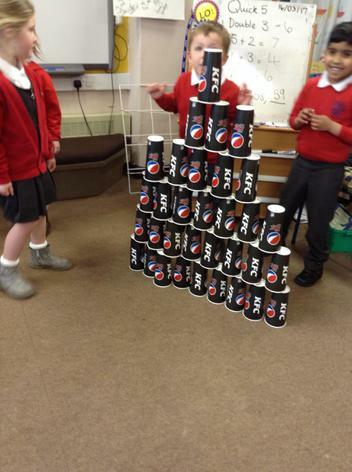 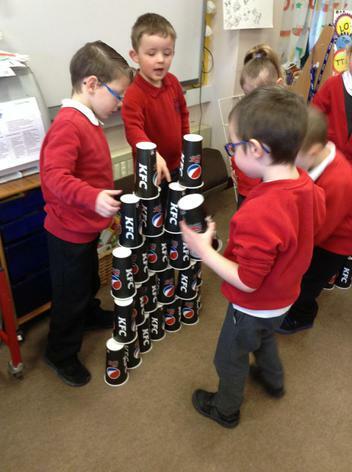 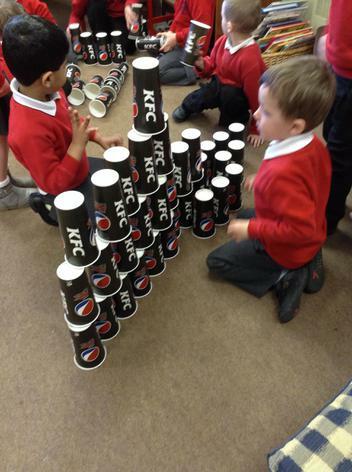 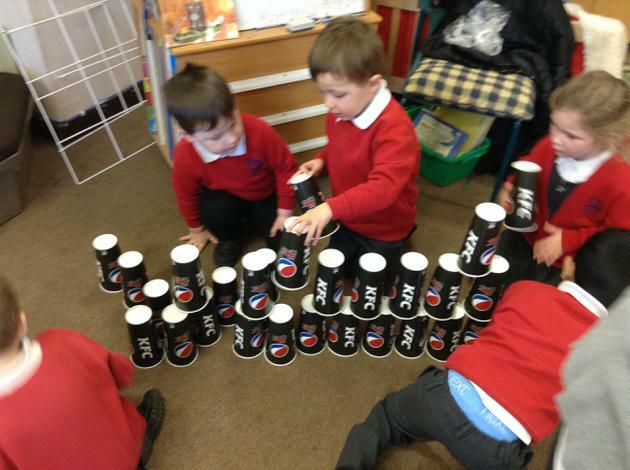 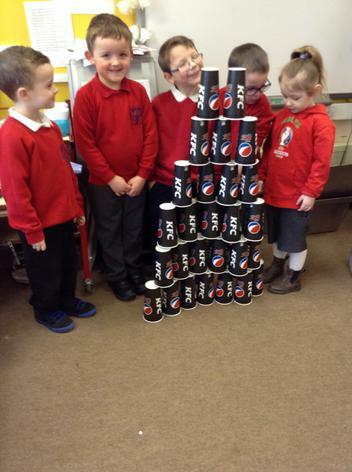 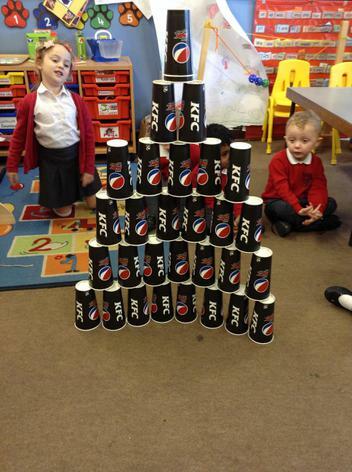 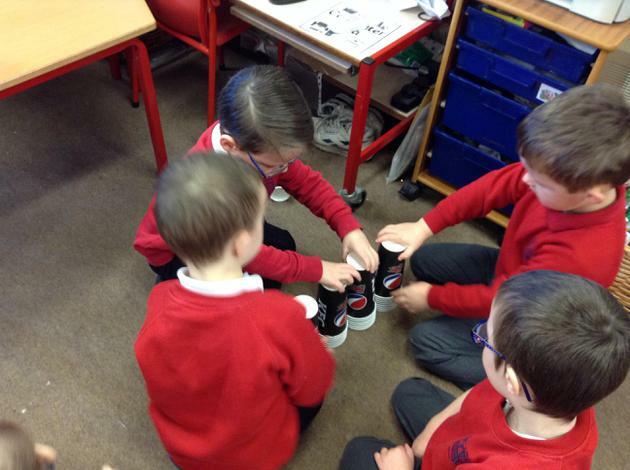 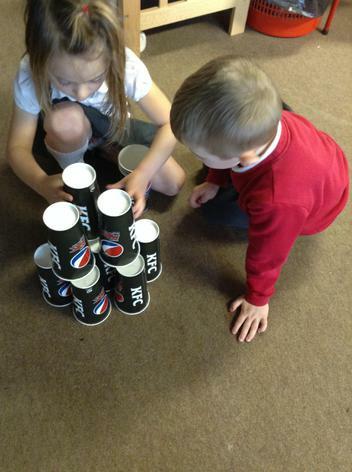 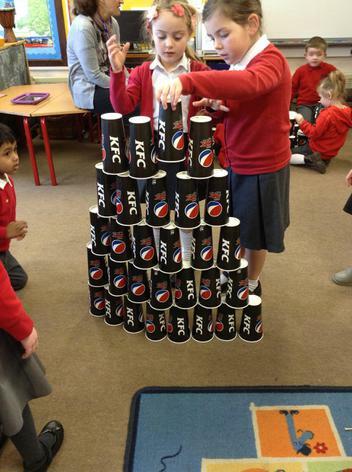 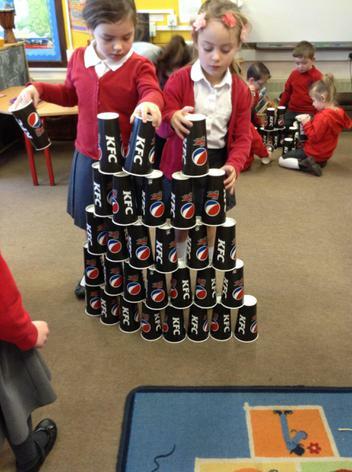 As part of our STEM building project, we have used paper cups ( kindly donated by a local business) to build walls. 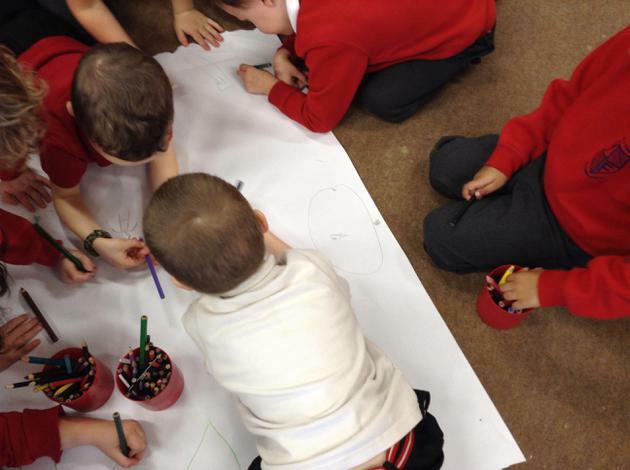 At first, we found it difficult to think of ideas for our walls but that soon changed. 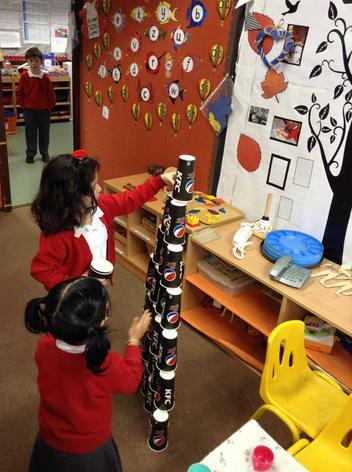 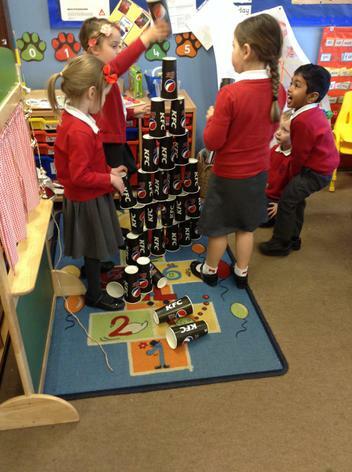 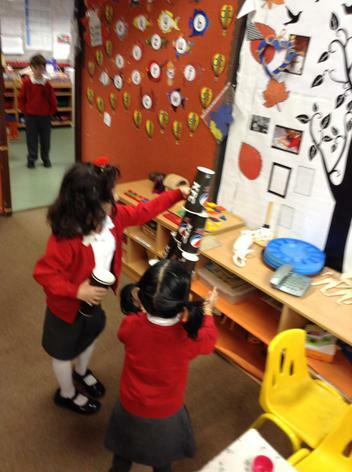 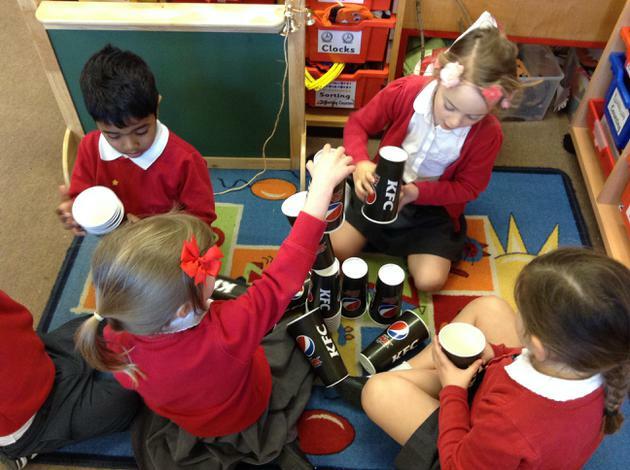 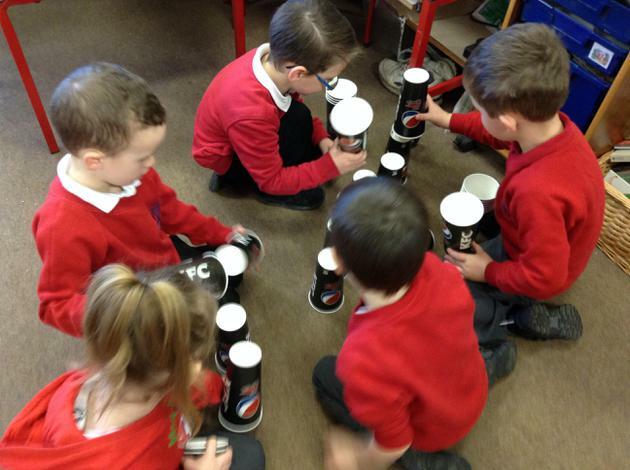 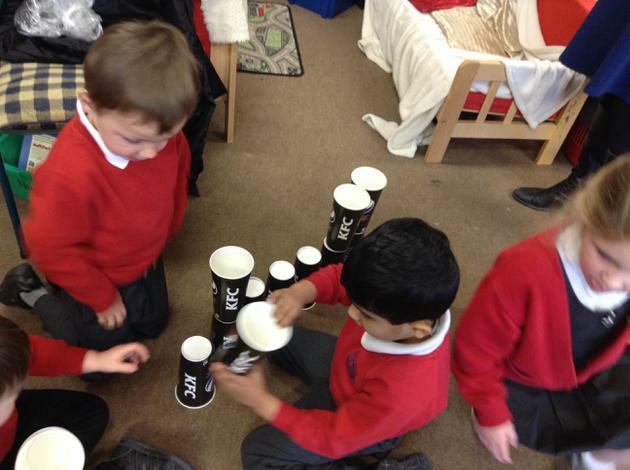 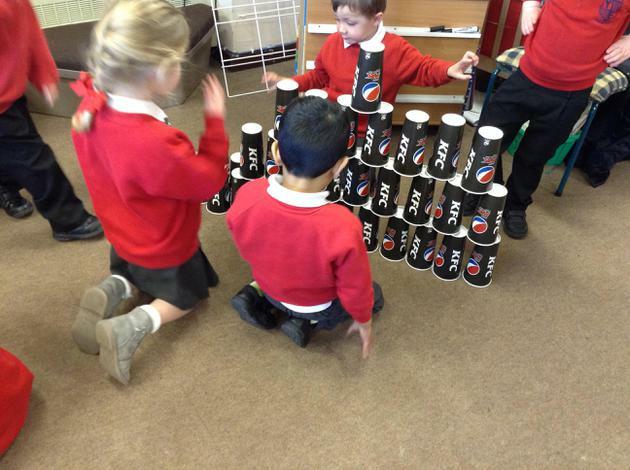 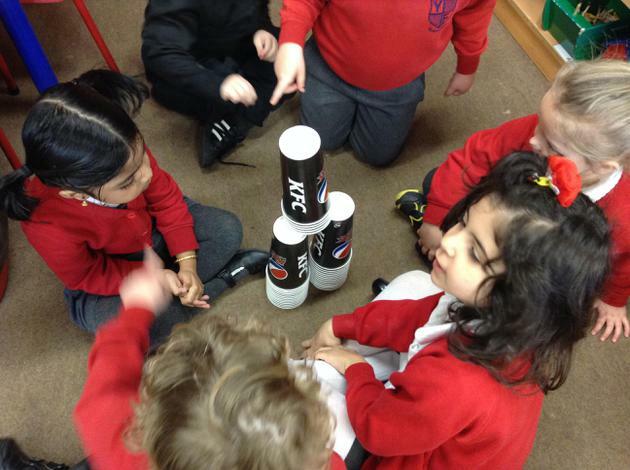 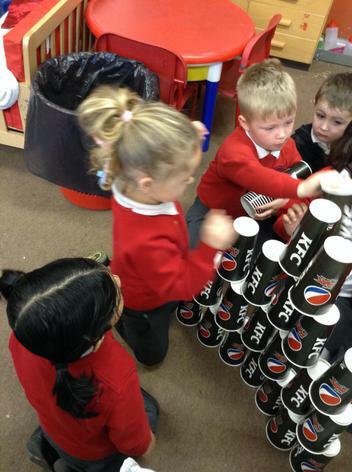 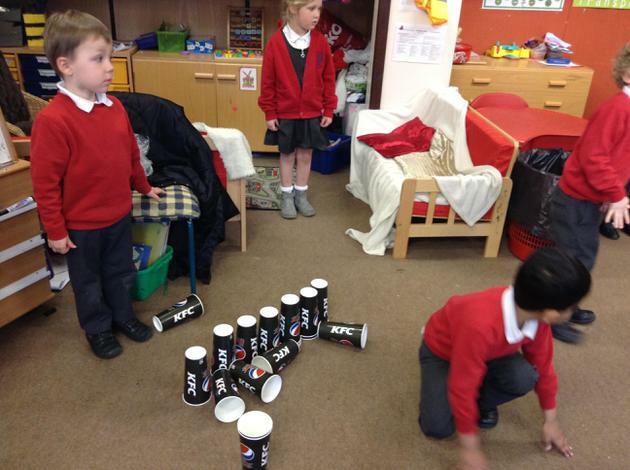 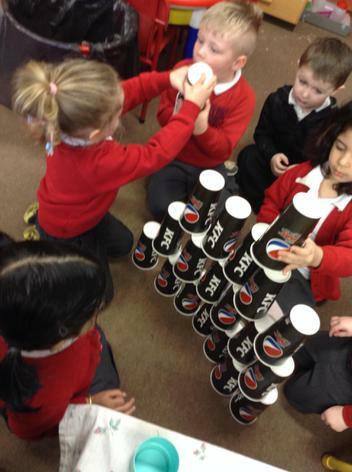 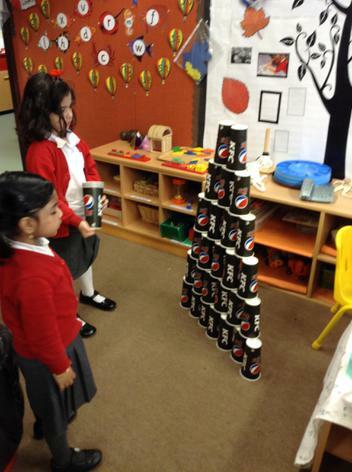 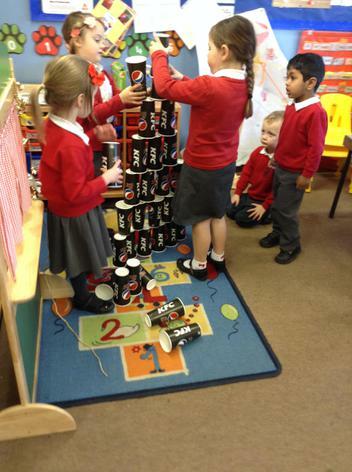 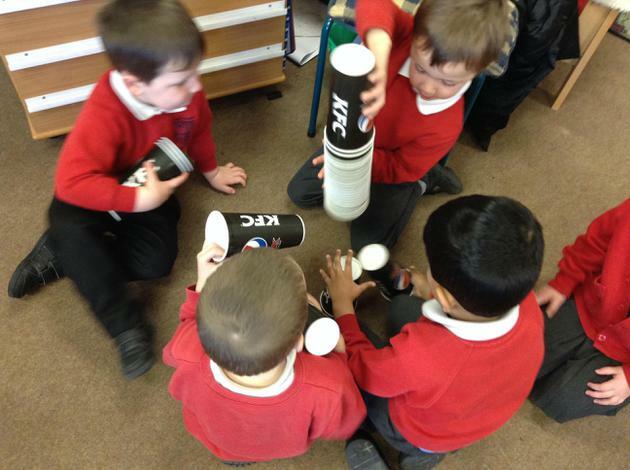 It is tricky to balance the cups - and great fun when they all fell over! 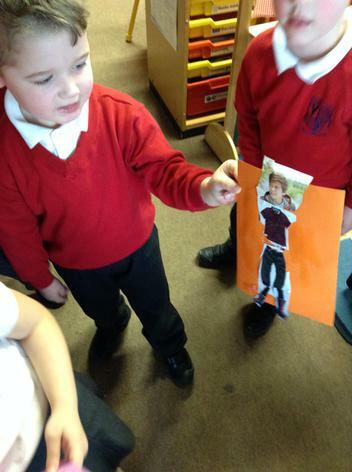 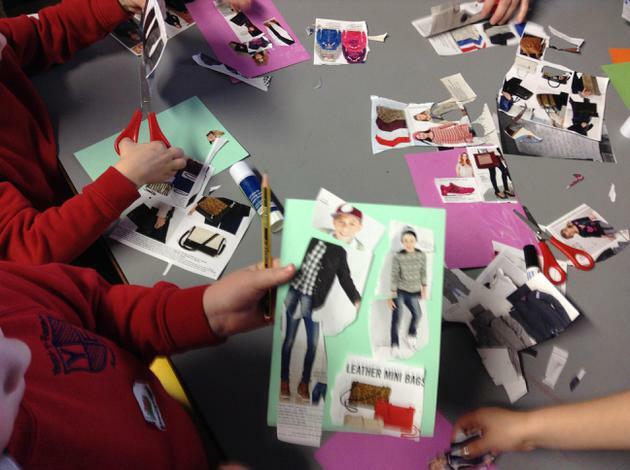 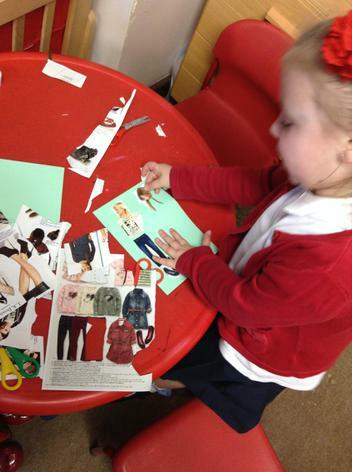 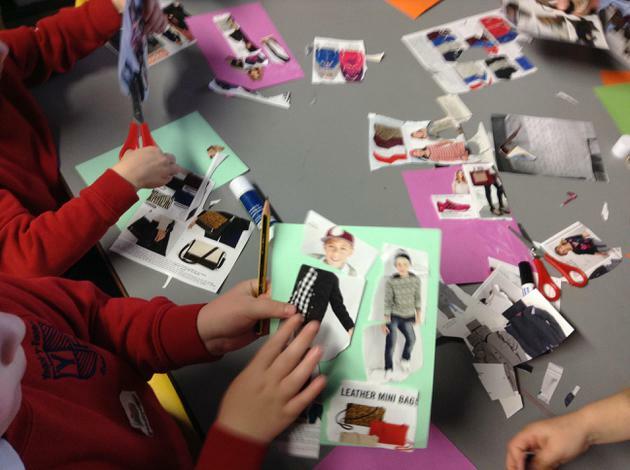 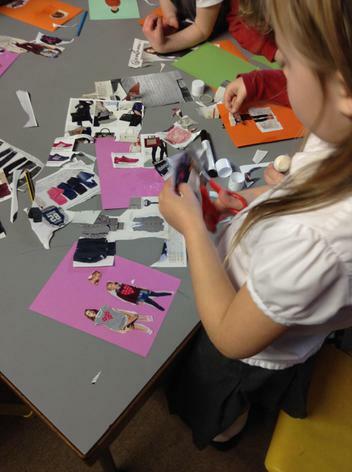 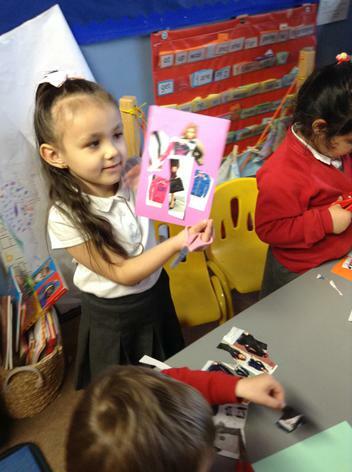 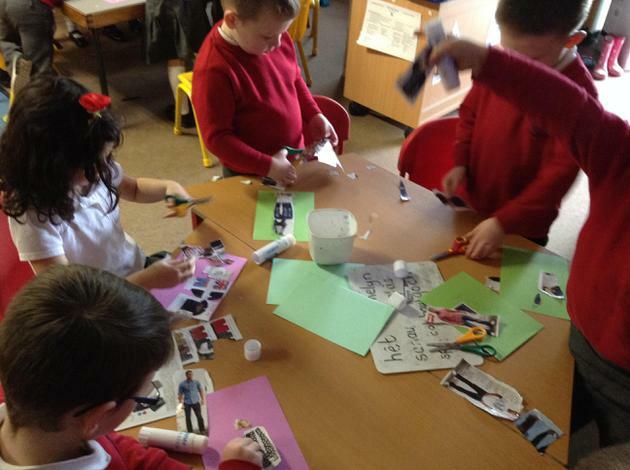 In Welsh we looked at 'Dillad' ( Clothes) then cut out our favourite things from a catalogue before putting them together to make a wobbly but very stylish person. 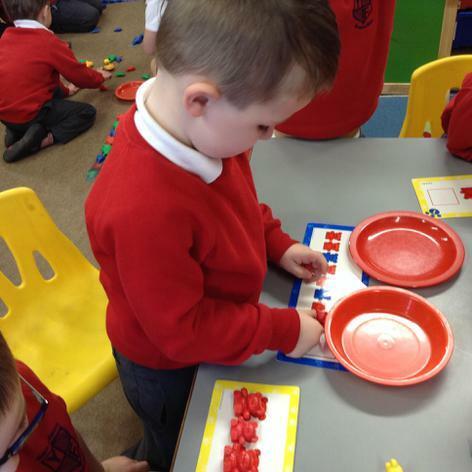 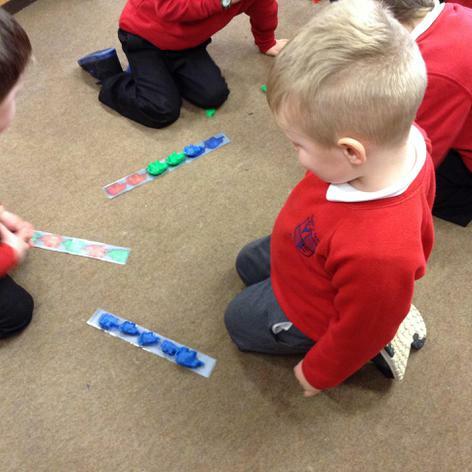 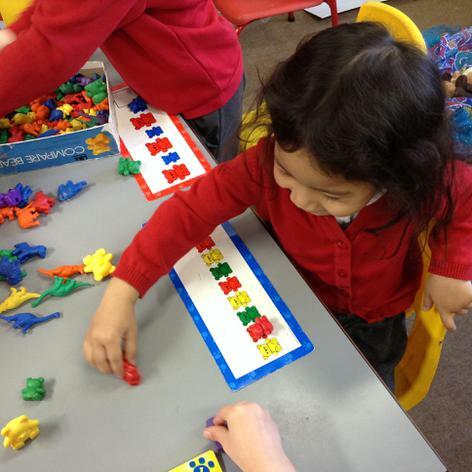 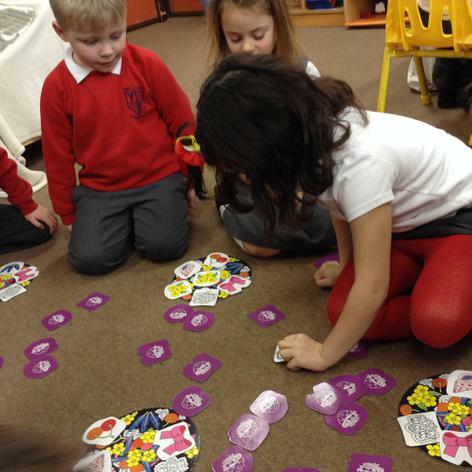 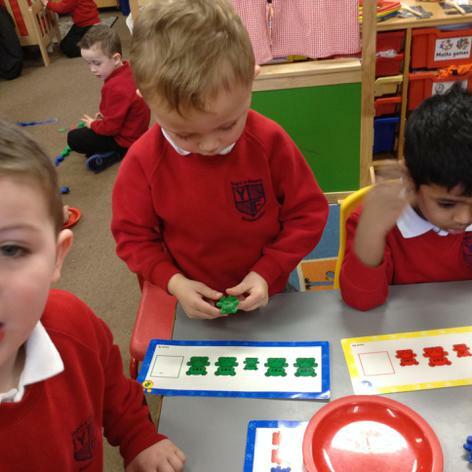 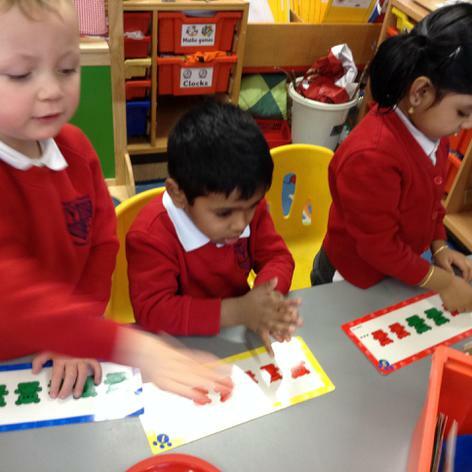 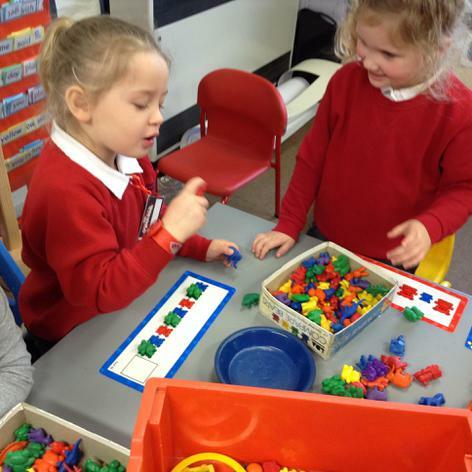 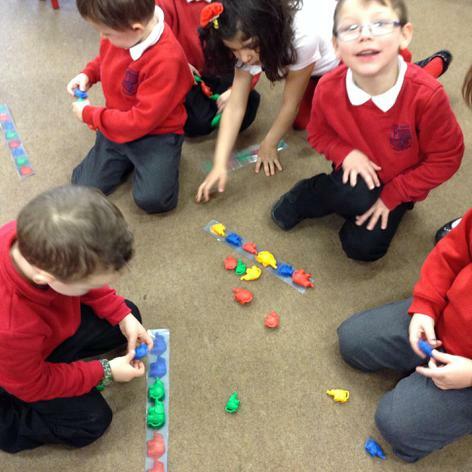 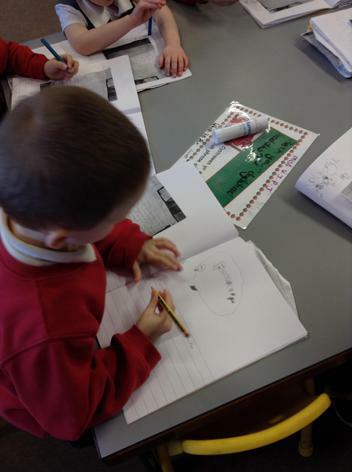 In maths, we practise our number skills daily and we've been copying patterns this week too. 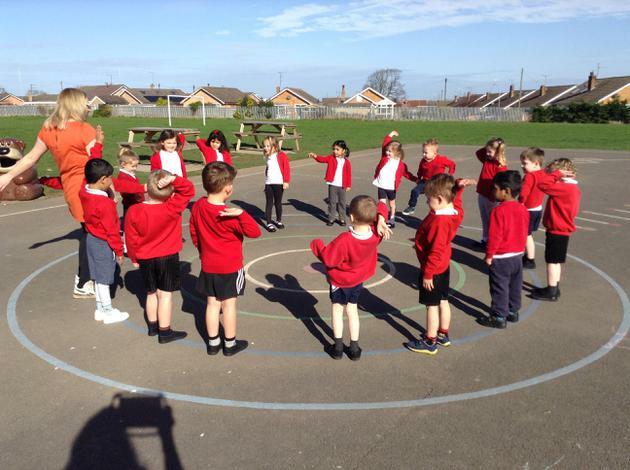 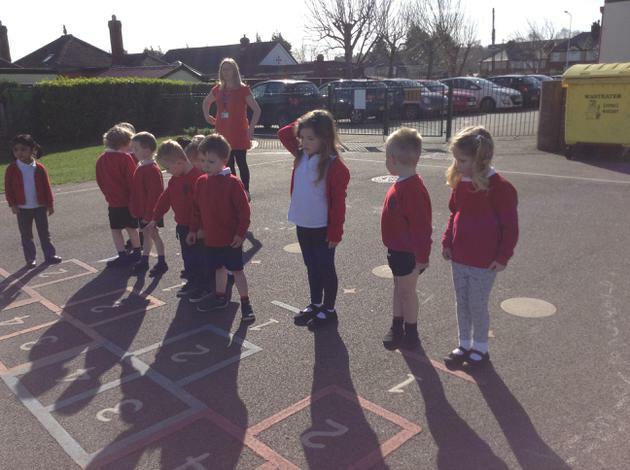 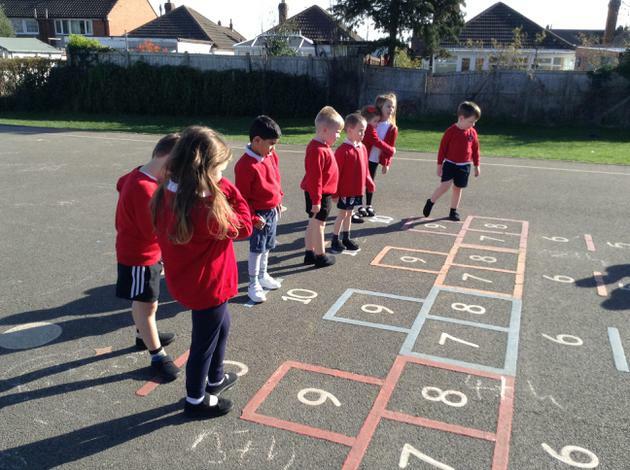 In PE we our learning to following instructions and have enjoyed playing lots of games and doing the Hokey-Cokey. 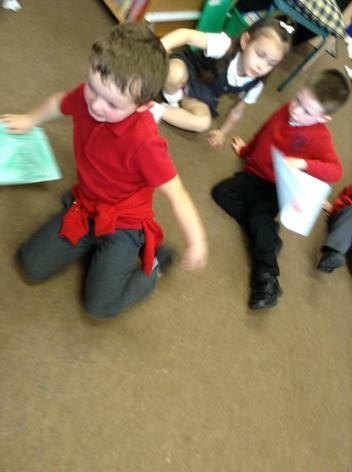 We are very good at shaking it all about. 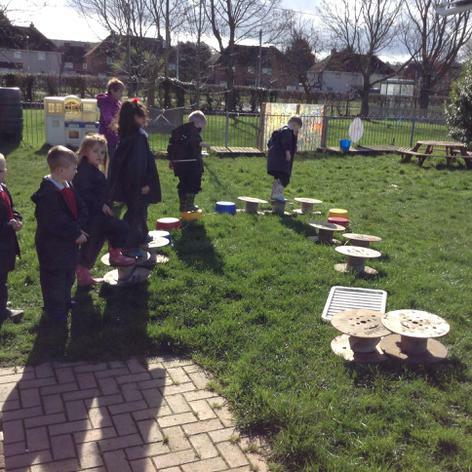 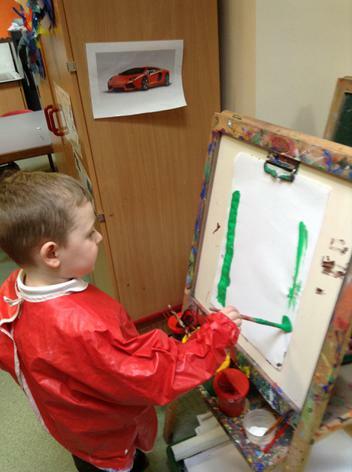 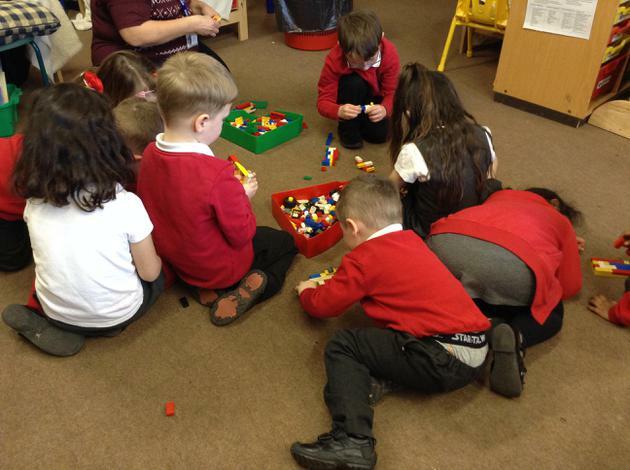 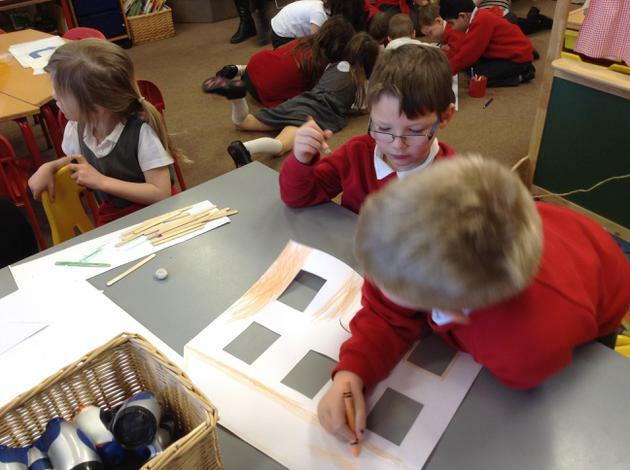 * We used the outside area because were not allowed to flood anywhere to try out our ideas.